For the full 11-page Notes, visit CSTM: update-11-release-notes/. 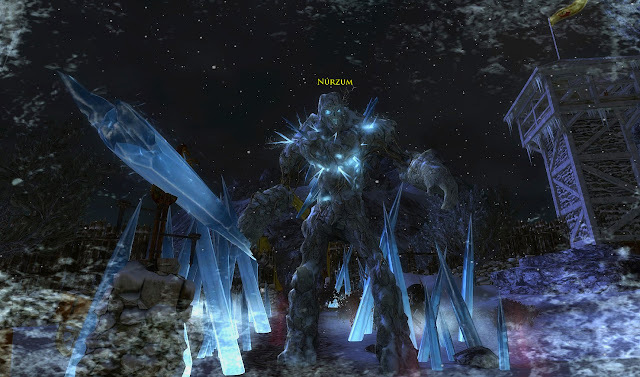 (1) New Region: Wildermore, north of East Rohan – quests, epic story, warbands, and rewards. (2) Mounted Combat: Yellow trait tree integrated into the base Warsteed. In its place, each class will get their own specific yellow tree. /will need to revisit (rohan-warsteed-traiting-part-1). Multiple bug fixes and tweaks for Mounted combat. Lowered the chance for Disengaging Strikes to 25% to better align with other capstone traits. (3) Warbands: Warband Reward boxes provide a chance to obtain new warsteed cosmetics and Warband Barter Tokens, which will be used to purchase the legendary pocket upgrades. Whereas the cosmetics will be a very rare drop from each reward box, the barter tokens will drop at a rate relative to the difficulty of the warband. (4) Lalia’s Market: New shoppe in Bree to highlight and visually see store items. /nice. will discuss soon, go check it out. (5) Hobbit Gifts: Once a day, all players can receive a Silver Hobbit Present. Once a week, VIP players can receive a special Gold Hobbit Present. Gold Hobbit Presents offer a greater chance of getting the top level gifts. After free rolls are used, all players can use Mithril Coins to roll for either more Silver Hobbit Presents or Gold Hobbit Presents. (6) Housing changes: Housing Upkeep allows for paying further in advance and adds the option to pay with Mithril Coins. Houses without upkeep paid for the past six months will go into Foreclosure and all items inside will be put into Escrow. (7) Rune-keeper armor: Greater Erebor Cleanser (fire) armour set bonus applies the Writ of Fire DOT of the same size as the player would. (8) The Ettenmoors: Quests and Deeds that require the defeat of Players or Monster Players will now advance for all contributors, not just the player who dealt the final blow. /interesting. The Moors Slayer-Deeds were effectively impossible. After six years, no one anywhere has beaten all of these deeds; they are actually harder than achieving Rank 15. There are 5 tiers of slayer deeds. At Rank 9, I have completely about half of tier 1 on each creep type. (9) Rohan Healing Rings: Created two new healing-focused ring upgrades at Eswe. Mooncandle Mender's Ring of Rohan's healing proc effect now properly triggers from the Runekeeper's "Rune-sign of X" skills. Eswe now offers the ability to exchange some Rohan rings at the final and third step for others. New Stuff bartered with Spring leaves – Cloak (hooded and hoodless), Dress, Robe, 2013 Spring horse, War-steed Cosmetic Leggings, War-steed Cosmetic Caparison. 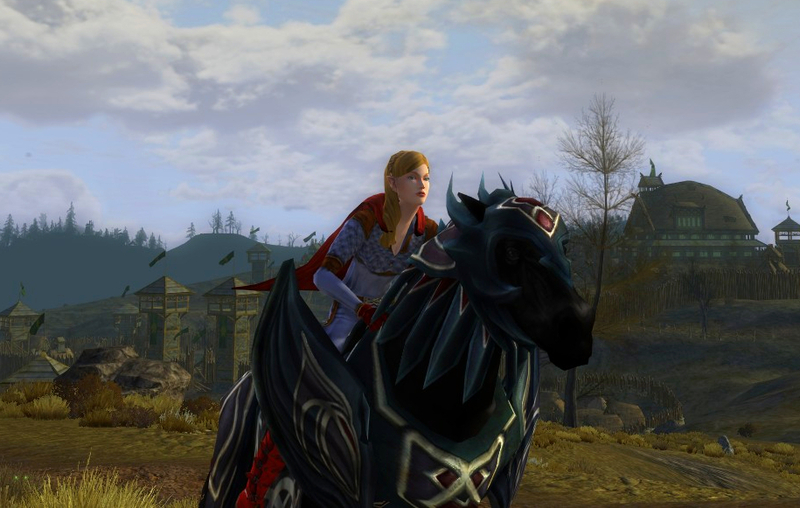 New gift-box rare drop – Full Spring War-steed Cosmetic Set. You can purchase the full set with leaves and flowers or get lucky with a gift-box. /yay for being able to barter for horses. Random luck is not a good mechanism as the only option for obtaining things. Cowbell + Mounted combat = bad. You were warned. New Launcher for patching and updating. New one-spot Alert for seeing accomplishments, reputation, mail, etc. Hobbit Gifts, dynamic layer status, pending loot and connection status icons. New additional Mithril coin Services = Reputation acceleration, Deed acceleration, Armour and Weapon repair services, task resets, and task limit increases. In Update10, some LIs got a DPS increase but it wasn’t retroactive to existing LIs; this has been fixed. Enhanced Experience: Rest XP is getting an overhaul. Warden further transitioning to Agility based. /I just want the red skeleton horse from a lootbox, but that is certainly interesting that 1st Age symbols will now drop from the Riddermark lootboxes. I'll be back later in the week to dissect some of the changes. Enjoy the ride! (2) After retraiting my warsteed, I see absolutely no difference in the way I play. I don't feel more warden-y or anything like that. My damage output seems slightly increased... maybe. No complaints or anything, but I thought I was supposed to feel more like 'my class' now with the update. (2a) Fury bonuses provided by bridle LI's has decreased. (3) 9 warbands down... 0 warband barter tokens. Drop rate does not seem to be that great. At least for some of the classes, I think the new Yellow line was at least a nice idea, providing some unique factor when it came to traiting your warsteed. As a hunter, I can now drop traps behind me, which seem to provide a DoT and mob debuff (I believe, have not been in game too much lately, playing around with Neverwinter). However, while I know it is impossible, and pure hindsight at this point, I feel like the changes would have been much nicer if WS 2.0 was around for 1.0. At this point, I think people have pretty much gotten used to how they utilized WS combat, and might not adopt the new skills as such. I know I'll probably forget to use my WS traps. Although, I'm sure it will slowly sink in over time...much like Danania said, I'm usually just hitting whatever skills I have off CD. WS combat is much quicker, hence there isn't much time to overthink what you are doing - fire and forget! Hope all are enjoying U11...I'm hoping to use the new zone as a means to start re-leveling my champion, currently sitting around 76 or so. Thanks for the hunter perspective Zyngor! Have you been able to find #9- the two new healing focused rings? There were two new ones with update 10 or 10.1, which are at the shield/weapon/jewelry vendors, but I haven't see any new rings at those vendors after update 11. The 1-for-1 exchange options are there, but nothing that struck me as completely new. Are they at a different vendor maybe that is exclusive to Wildermore? As far as I can tell, you are right! Update 10.whatever gave us two new Rohan Healing rings. I see exactly what you see... there are those same two rings with the only thing new being the exchange option you mentioned.